"SHOOTER is an uncompromising exploration of the definition and evolution of a hero. 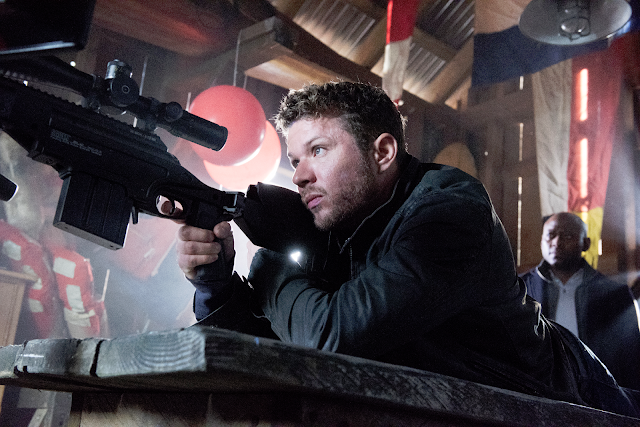 Ryan Phillippe (“Secrets and Lies”) is a producer on the project and will star as Bob Lee Swagger, an expert marksman living in exile who is coaxed back into action after learning of a plot to kill the president. Omar Epps (“House”) plays Isaac Johnson, an ex-Marine and former commanding officer of Swagger. Now a Secret Service Agent, he solicits Swagger’s expertise for a clandestine operation that has disastrous results." We're not going to lie and say this looks like a must-see but with Phillippe in the lead, we'll give it a chance - and hey, surely he'll take his shirt off at least once? Shooter premieres on USA later this year.